What? Extend again? Most Uber drivers and riders were caught off guarded when Uber announced that it will extend it's operation in Singapore till 7th May 2018. Wasn't the deactivation date on 15th of April 2018? 15th April is the last day for Uber? 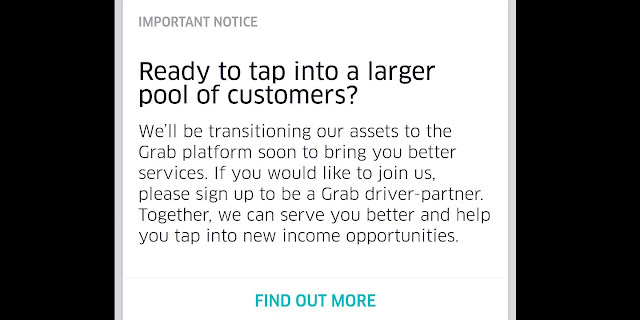 Every drivers already knew that UBER will be gone on 8th April ever since the announcement that GRAB had bought over UBER's South-East Asia operation. 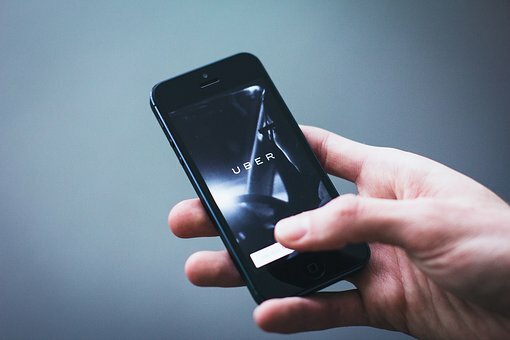 However, some might still not aware that the "death" of Uber will be extended till 15th April as the Competition and Consumer Commission of Singapore (CCCS) is reviewing proposed alternative interim measure. It's mean that the CCCS has the reason to believe that GRAB might be monopolising the Private Hire Vehicle (PHV) industry, which might have infringed the Competition Act in Singapore. Good news for both the drivers & riders Most of the drivers and riders felt relieved about the extension of Uber's departure in Singapore. This is so because the riders are worried that if Uber were to leave Singapore, GRAB might be using this opportunity to hike up the ride's fare. What a luck! It was just few more days before there's no more ubering in Singapore. However, before I could end the ubering journey with UBER, my car decided to call it off first. 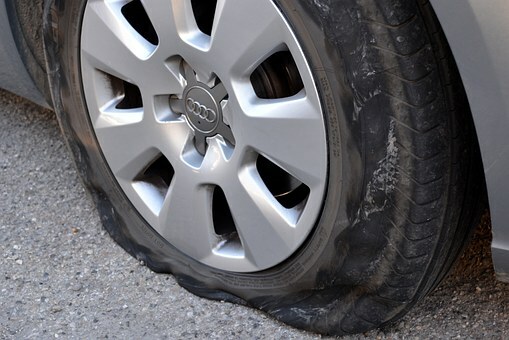 My car tyre went flat on me 2 days ago. As I thought that it might be an issue which is not self-inflicted by me, I decided to send it to LCR's authorised car workshop at Wcega Plaza. Because this is not the first time that my car failed on me, I was not that worried as it is not as bad than the previous time. Luckily I did send my car to the workshop as not only my car tyre got problem, my car's bearing also got issue. Therefore, it took me about 3-4 hours just to get the bearing serviced. After it was serviced, the drive feels much smoother, no wonder my mood was so bad as the severe vibration caused my back to hurt terribly and my ratings became worse.